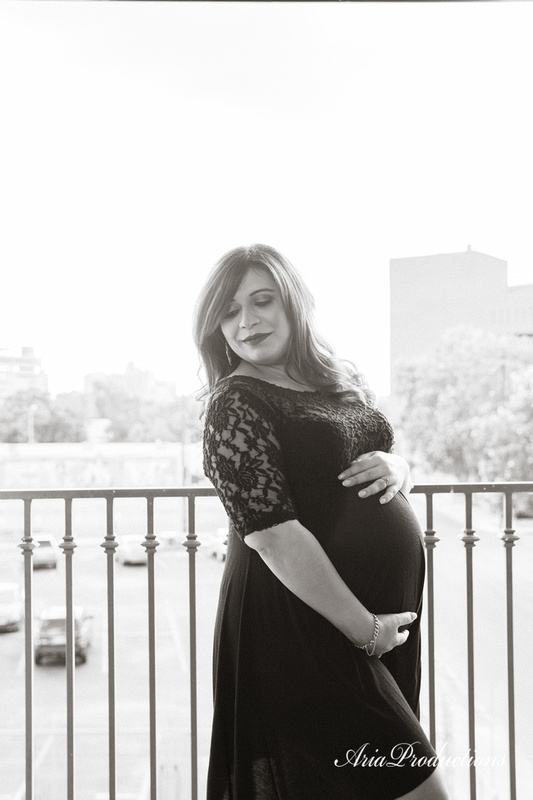 Maternity Pics & Baby Marisa's Nursery — The Life and Times of a Young Professional in San Antonio. Life as a public relations executive is hectic. Couple that with the stress of managing a public outreach campaign, working in the emergency operations center, coordinating, planning and staffing six public meetings and all the other things associated with my job and it's no surprise Baby Marisa made her dramatic early debut into the world on September 27th. TJ and I had been planning for her to make an early appearance. We knew there was no rest in store for me until the last week of my pregnancy and we felt ready as ever to meet her. Every woman told me the last month of pregnancy is the hardest and honestly they couldn't have prepared me for it, especially in the hottest month of the year. Nonetheless, we made it through! I had my maternity shoot (which was rescheduled a few times because of work commitments) the Friday before Marisa came into the world. I'm so happy with the photos Sonia Freeman of Aria Productions shot! She took the photos for our wedding and we just finished a shoot with her this past weekend for newborn photos of Baby Marisa. She's so professional and having worked with her a few times, she knows exactly what we are looking for! We shot the photos inside our condo. We love all the natural light inside our home and the traditional yet urban vibe of the place. When I started planning Marisa's nursery I wanted to capture the essence of our home while incorporating our personalities. I knew I wanted the room to feel light, elegant and airy. I wanted a touch of whimsy without feeling childish. The elegance was inspired by the glamor of Paris and my love of Old Hollywood. I went over several different color schemes in my head until I ultimately landed on crisp shades of white, elegant yet understated gold accents and feminine details that didn't look girlish. Mommy & me shoes. Mine are Kate Spade, worn on our wedding day! Baby's coming home outfit was a little less traditional than others! We used this onesie when we announced that we'd soon be a family a three. TJ brought Baby Marisa this adorable plush Air Force One home on his last trip to DC. I repurposed some gift boxes we were given for additional storage and pops of color in the nursery. I keep all my nursing supplies in these elegant boxes. Painting - It's me! Trebla Art painted it at a local bloggers event. And of course, a few photos with dad to be!